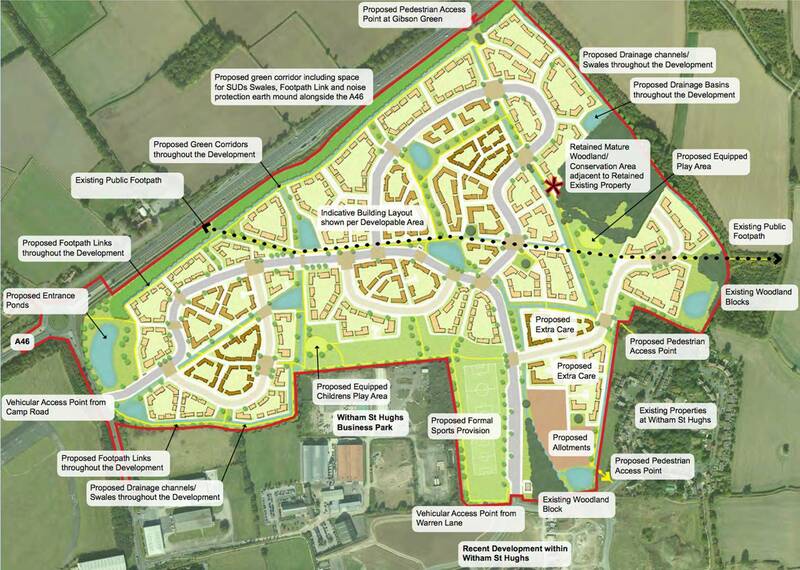 North Kesteven District Council have given the go ahead for 1,200 new homes to be built in Witham St Hughs near Lincoln. 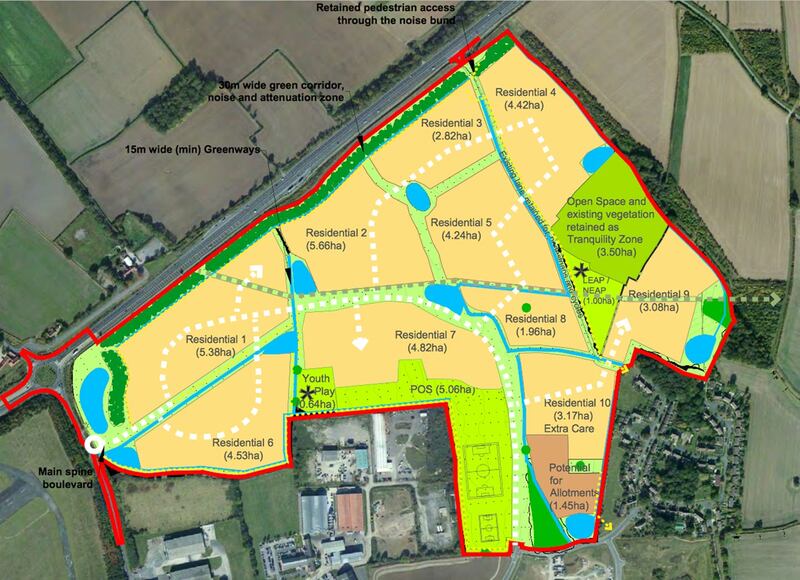 The village will be doubled in size and will see 1,100 homes, 150 retirement homes and new roads on current agricultural land off Camp Road in Witham St Hughs. As previously reported, the 68.45 ha site will also include the construction of a new roundabout to Camp Road, improvement works to the A46 Halfway House roundabout and demolition of buildings around Sheepwalks Farm. This is the third phase of the new Witham St Hughs settlement, which is based on the site of the former RAF Swinderby airfield. NKDC’s planning committee unanimously approved the plans, despite a number of rejections from local residents concerned about the impact on local roads and amenities, on the evening of Tuesday, September 13.